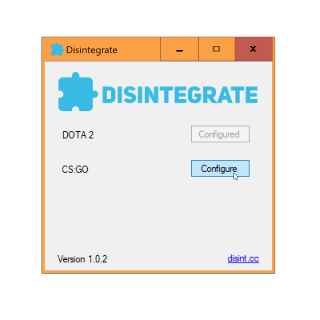 Disintegrate adds comprehensive and useful Rich Presence to DOTA 2. 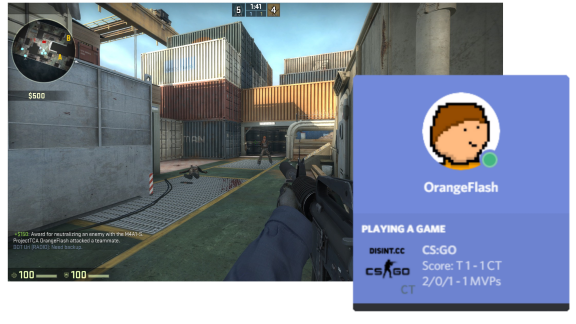 Show off your hero, level, team, K/D/A, and CS on your Discord profile. 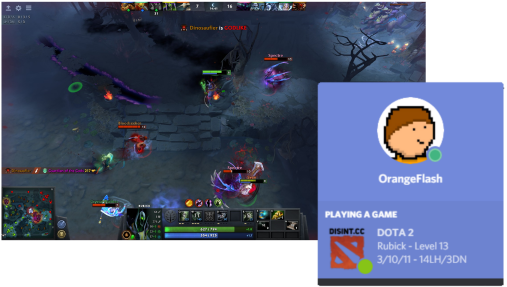 Both friends and mutual server members can see your DOTA performance without even having to open the game. If you're playing carry, friends can marvel at your hard-earned kill count, while supports can be proud of their deny and assist scores. CS:GO gets awesome Rich Presence with Disintegrate too. Your K/A/D and MVP count are displayed right on your Discord profile, so you can proudly display your performance on your journey to Global Elite. Disintegrate even shows the match score, so your friends can know how long you've got left until the match is finished. Your team is also shown. 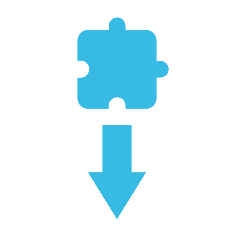 Disintegrate is in no way associated with Discord, Valve, or any other related company. 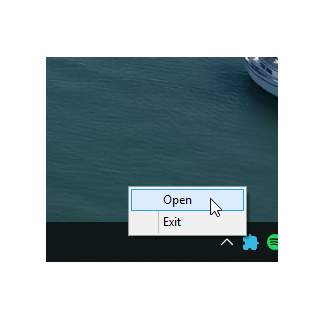 This project is entirely unofficial, and could stop working without notice as a result of updates to any service used.